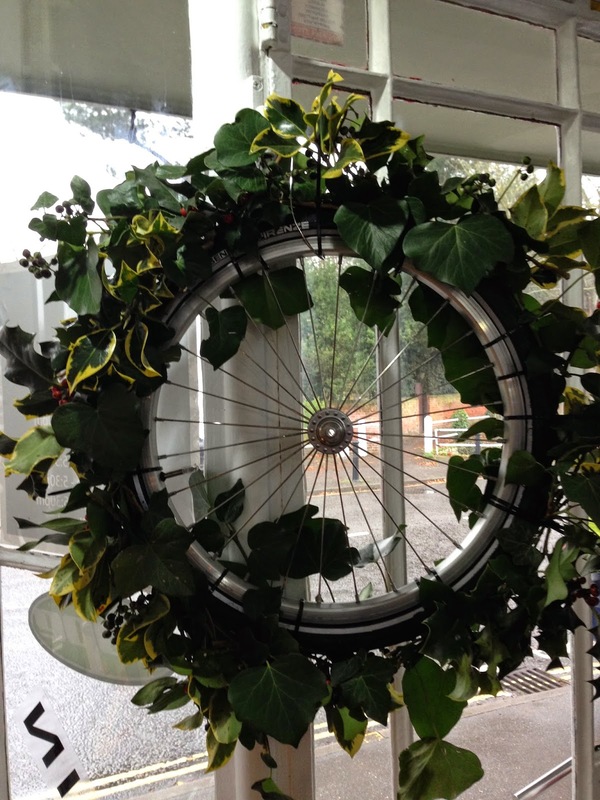 Creating a better place with Brilliant Bikes: It's been a year already! 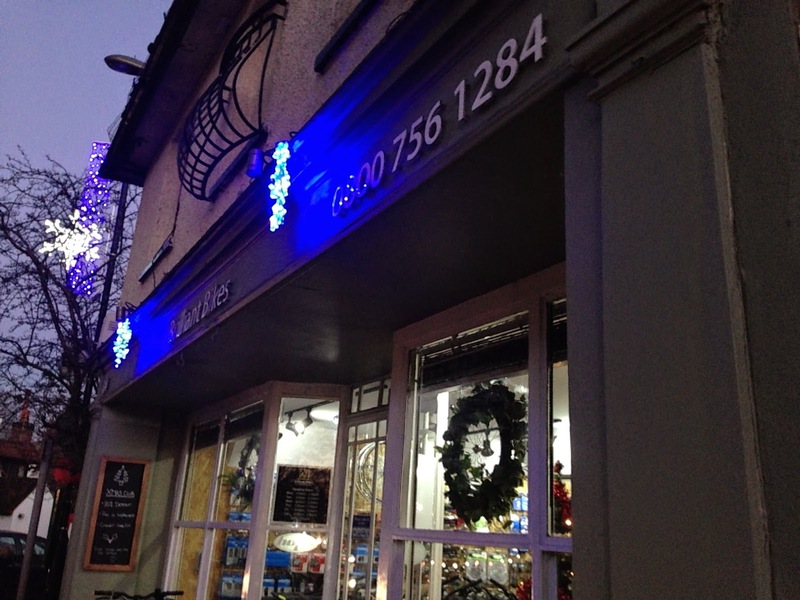 We opened our physical shop last year - just in time for the Chobham Christmas Extravaganza in 2013 - late night opening to you and me. Brilliant Bikes Chobham - complete with snowflakes! So this year we have a bit more stock, were a bit more prepared and ... have our Christmas snowflakes proudly on display. This time last year we were selling complete bikes by Frog - lightweight childrens bikes, and Pashley - classic handmade British bikes. In 2014 we have added complete bikes from Marin - the founders of modern day mountain biking, who now make a complete range of bikes from full suspension and hard-tail (a bike with no rear suspension) mountain bikes through hybrid (sometimes referred to as dual-sport as they can be used on and off road) as well as road and cyclocross bikes. We also stock Intense - another Californian brand - who hand make performance mountain bikes including the Interlake MTB of the year - the Tracer 275c - full suspension and carbon! We were lucky with the weather - a cold wintery (temperature - no snow) night with full moon. Sweets were handed out to passing children (we weren't under any type of commission from the local dentists - but we will suggest that to them next year) and anyone else who wasn't already full from the mince-pies being handed out by half of the village shops in Chobham. Thanks to everyone who visited and see you again next Christmas - if not before.